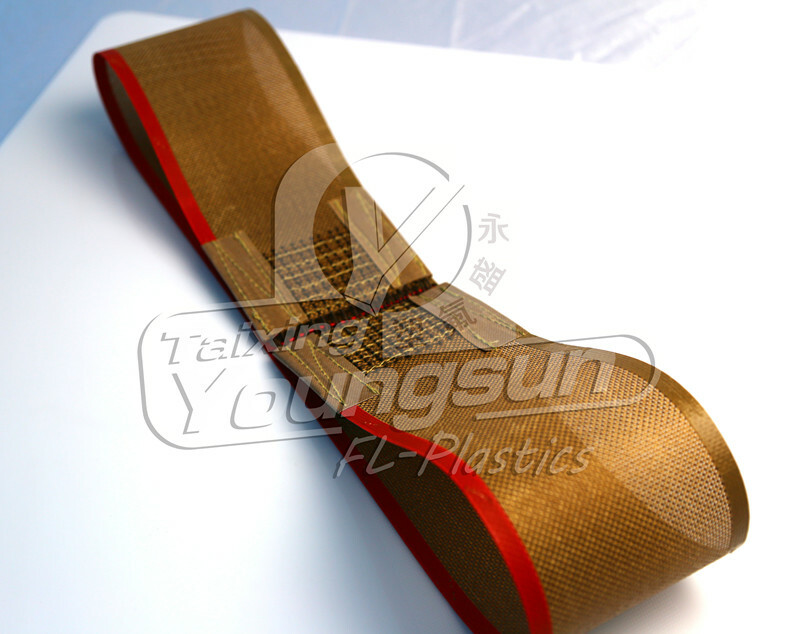 Our PTFE Coated open mesh fabric is used to fabricate conveyor belts in any length. 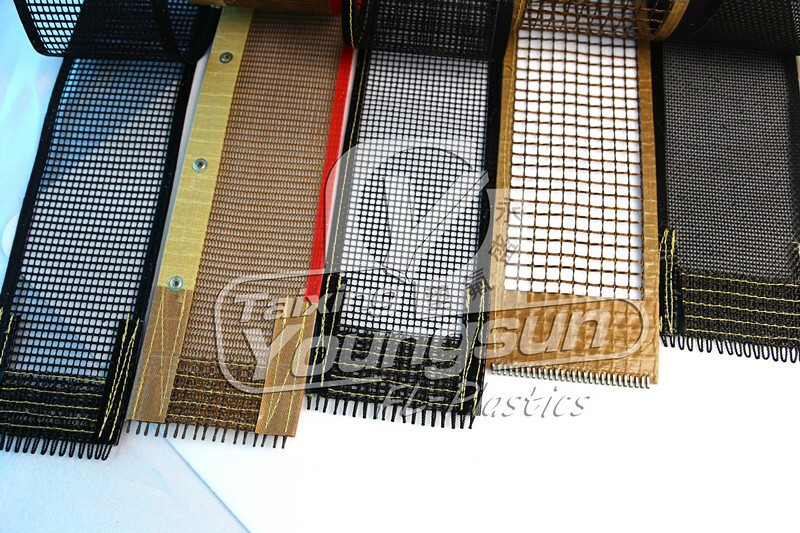 Maximum width up to 4.2 meters, and many mesh sizes are available. With a superior Non-stick surface and operating temperature ranging from -100F to 680F, this non-toxic PTFE Coating make it appropriate for food handling operations, microwave drying and any industry in heat. 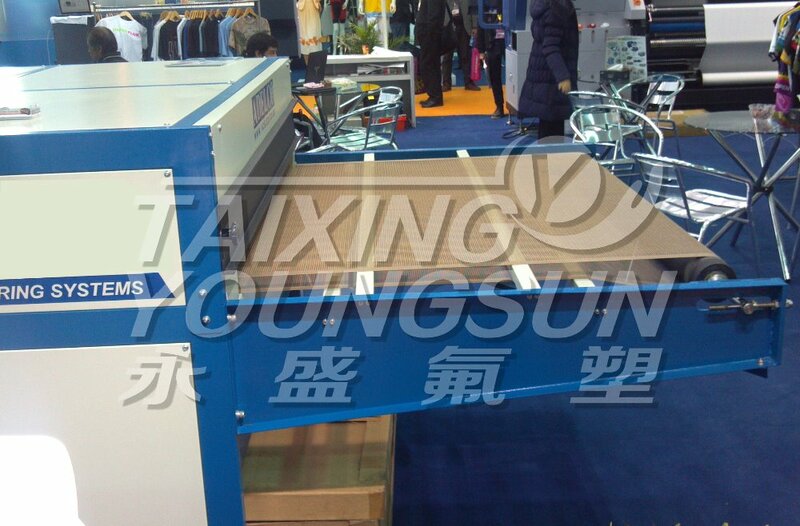 With outstanding non-stick surface and 680F Safe, this Teflon Coated Conveyor belt is apply to Printing industry. And the maximum width is 4.2m, length could be any sizes. 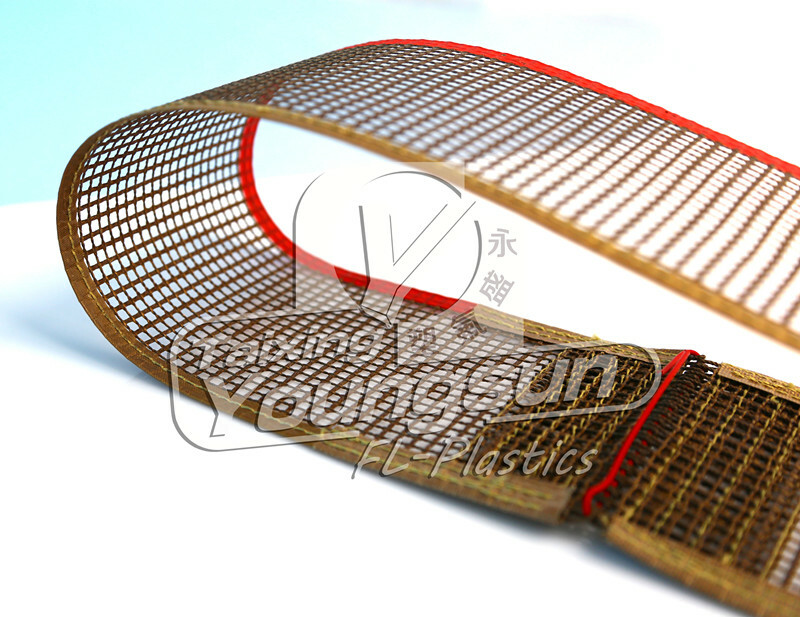 This belt could permanent resist heat up to 680F, and good air could pass through the open mesh, which makes the items drying fast. 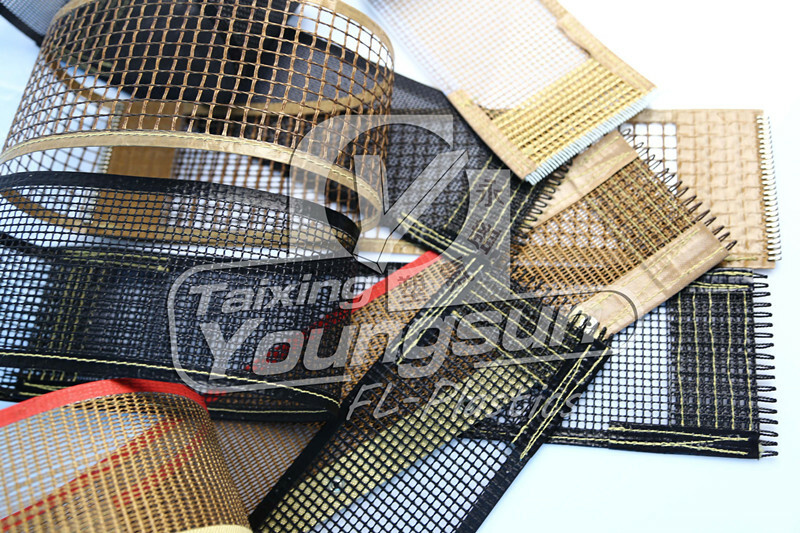 We could customize any sizes for any machines, and many mesh sizes is available for different needs. These belts are also Non-toxic and food standard, could apply to food industry, like drying Tortilla, cookies and so on. Looking for ideal Heat Resistant Conveyor Belt Manufacturer & supplier ? We have a wide selection at great prices to help you get creative. All the High Temperature Belting are quality guaranteed. 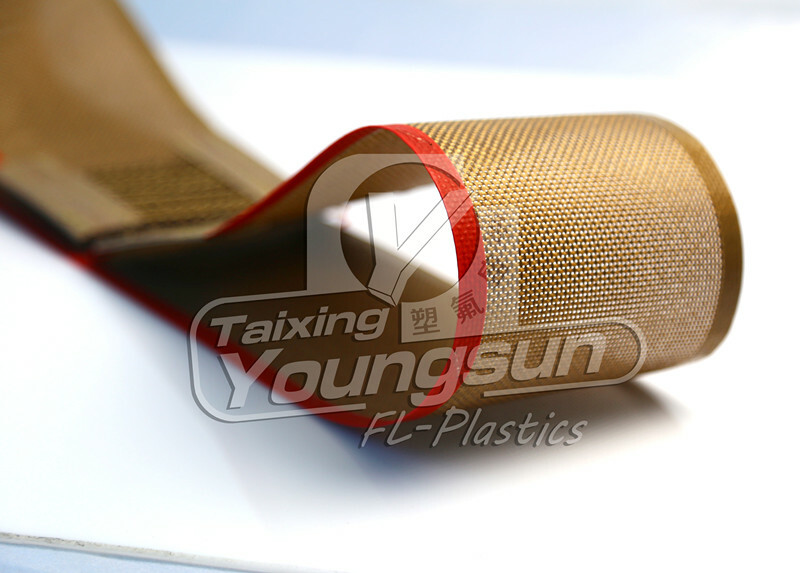 We are China Origin Factory of Open Mesh Teflon Belting. If you have any question, please feel free to contact us.